The pink hair trend is not new: Kylie Jenner’s done it a million times, Busy Philipps dyed hers a very rosy pink shade for a while, and Elle Fanning went baby pink this summer. 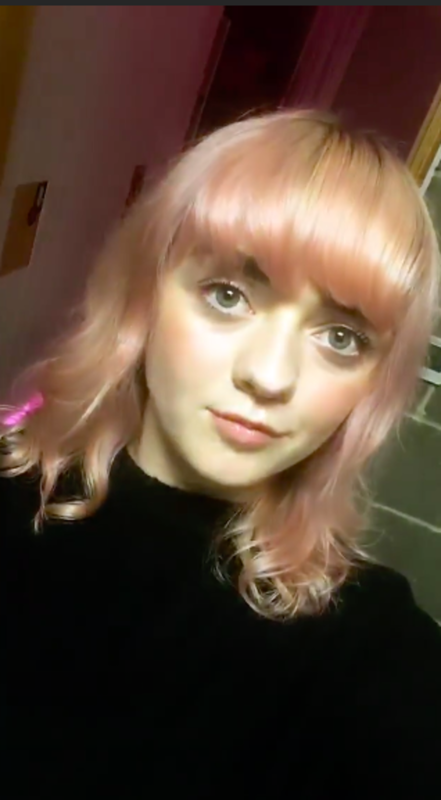 However, Game of Thrones star Maisie Williams just dyed her hair a shocking shade of bubblegum pink and she’s giving us, how do we say this, retro-chic My Little Pony vibes? Unlike other soft pink dye jobs, Williams’ hair is bright, shiny, vibrant, and so damn cute. With her cute bangs and curly, almost-retro cut—it’s an elevated take on the soft pink hair trend. Now that Game of Thrones is done filming, the cast can finally change their hair. Emilia Clarke recently cut off all her locks and Sophie Turner returned to her blonde roots. Williams, meanwhile, decided to dye her usually chestnut brown locks a vibrant shade of pink. She shared the photos on her Instagram Stories, and we’re obsessed. This isn’t the first time the actress has experimented with colorful hair—she rocked teal strands between GoT seasons in 2016. Her new hair is serving My Little Pony, like if they made a live-action version where the ponies turn into people? She’s also got a slight, Katy Perry/”California Gurls” thing going as well. If you want to experiment with pink hair, may we suggest the Kristin Ess Rose Gold Temporary Tint? It’s a cheap way to try out pink without spending $$ and potentially frying your hair.